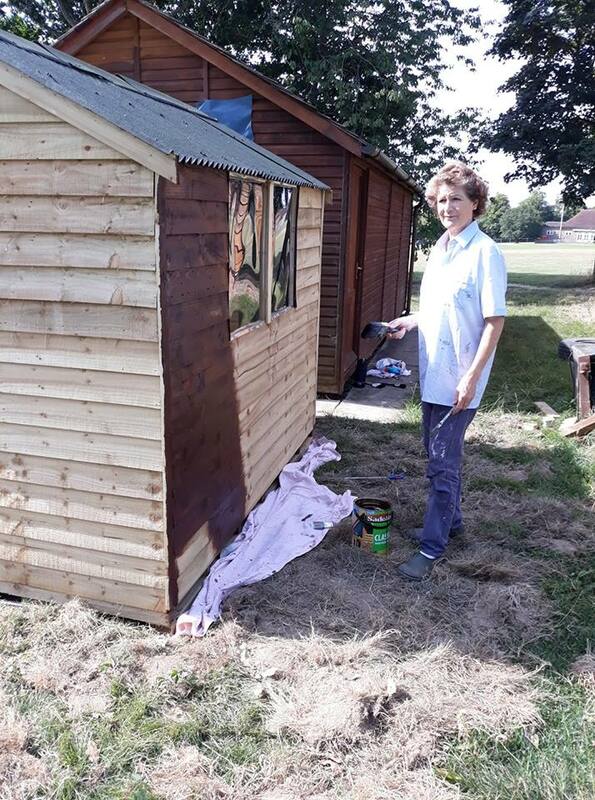 We are very grateful to Gatwick Airport Community Trust and Itchingfield Parish Council for their very generous donations for our new Privvy. Here's Membership Secretary Tish painting it. The Club had been hiring a Portaloo from Portaloo Pete which was so useful while the demand for tennis was tested. This was a great success but we needed something for the next ten years or so while the club continues to grow.